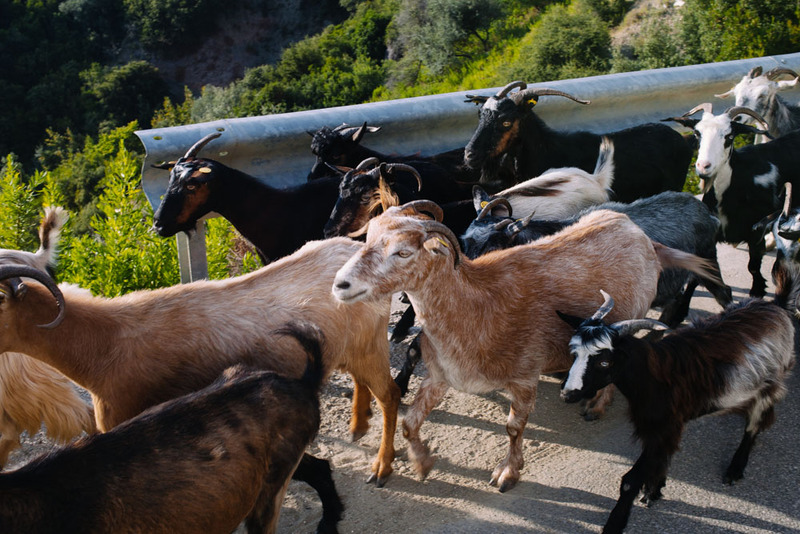 Pet the Goat – a cool game you can play while driving down the Albanian one-way highway. 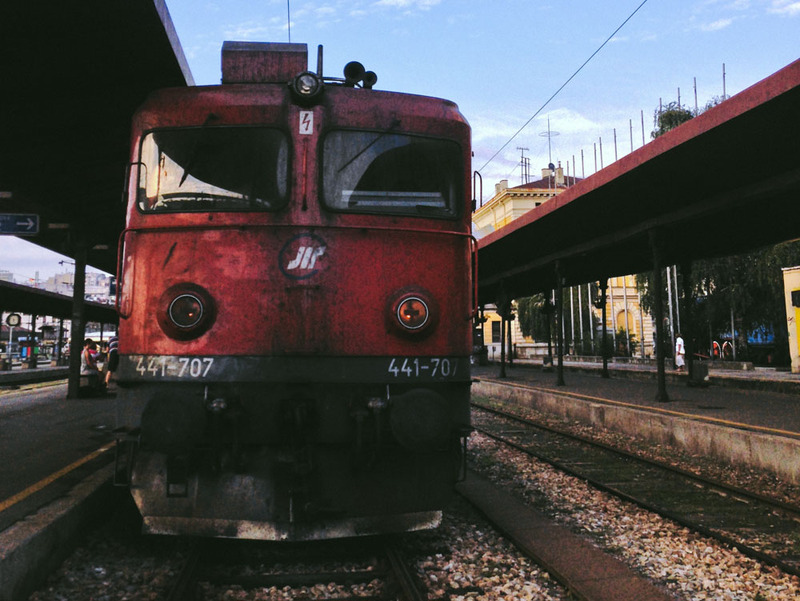 Having read a bit about transport in and across the Balkans, I was slightly petrified of what could go wrong as we climbed aboard the train in Budapest to start our adventure across three country borders in as many days on our way to Tirana, Albania. The tales of massive delays, roadside breakdowns, potholes, herds of goats barricading the path, sold out tickets, and corrupt border patrols filled my over-active imagination. 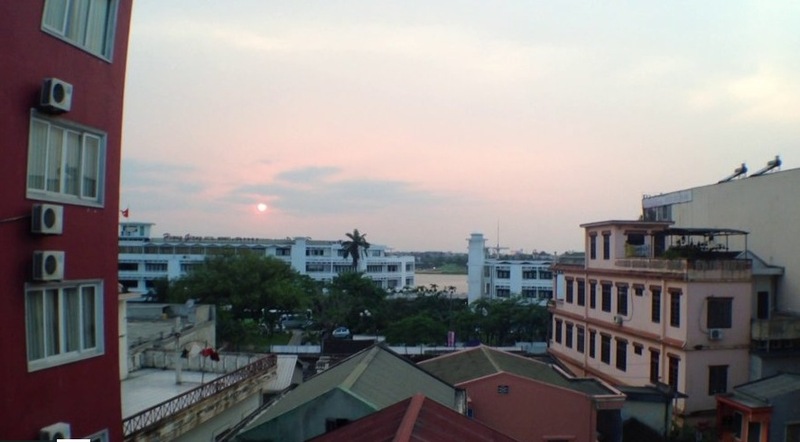 We had nothing booked in advance, and had to make it to Tirana in three days or bust. How did it go? Well, the short story is that it was all fine, and we arrived in Tirana with only a slight delay of a few hours, tired, but with plenty of new adventures under our belt. The long story is quite entertaining, and I assume quite typical for the journeys traversing the Balkans. Hungary has a wonderful rail transport system. It’s comfortable, modern, and not expensive. 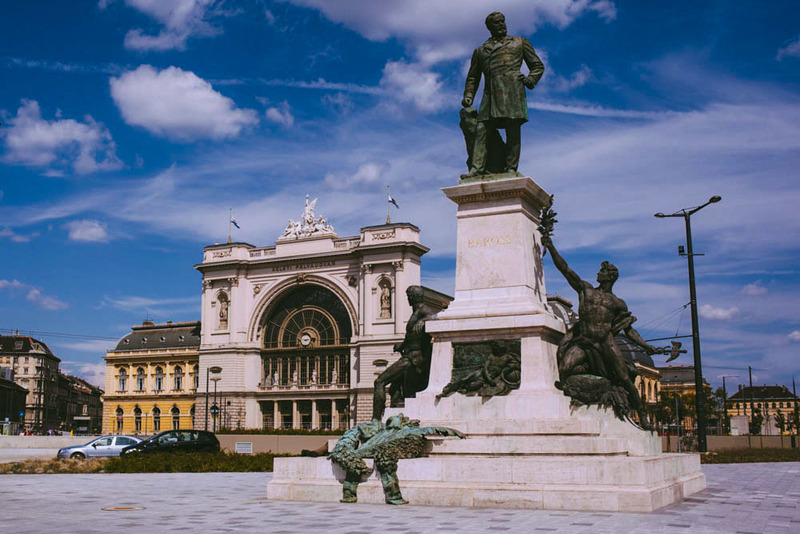 In just a few hours, or in a quick overnight journey, travelers departing Budapest on a train can reach pretty much any destination in Europe. The only problem is that this wonderful rail system operates almost exclusively in Hungarian and it is confusing for those non-Hungarian speaking users. We attempted to purchase our tickets electronically, via the official website –http://www.mavcsoport.hu/en – which’ although technically has an English-language page, we found impossible to decipher (UPDATE: the current version is much better than the one we attempted to use). So we just kind of took a gamble and clicked on tickets for Beograd. Nothing happened. Maybe we were trying to buy too close to the date of our journey, or maybe it had something to do with the fact hat we were not EU citizens. Not quite sure what the problem was, but our attempts to purchase international tickets failed. Keleti railway station, Budapest, Hungary. Only mildly irritated we set off for the English-language , international ticket window at Budapest central train station (Keleti). Apparently we weren’t the only foreigners who failed to purchase tickets online. To say that the international ticket counter was crowded would be to say nothing at all. Receiving an estimate of wait time of 2.5 hours, we decided to try our luck at a later time. Interestingly, the window for international ticket sales for foreigners is open pretty much dusk to dawn. We came back around dinner time, got a ticket number, and went for a drink around the corner. Finally, 1 hour later, we had our tickets for Belgrade in hand. Annoying and inconvenient, but hey it can’t always be smooth sailing, right? In comparison to the experience of buying the train tickets, the actual overnight train journey from Budapest to Belgrade was fairly uneventful. The one thing of course is that no one speaks English, so information on stop times and other essentials isn’t readily available. (This is what it must be like to travel the Transsiberian railroad for non-Russian speakers). Arrival in Belgrade went just fine. 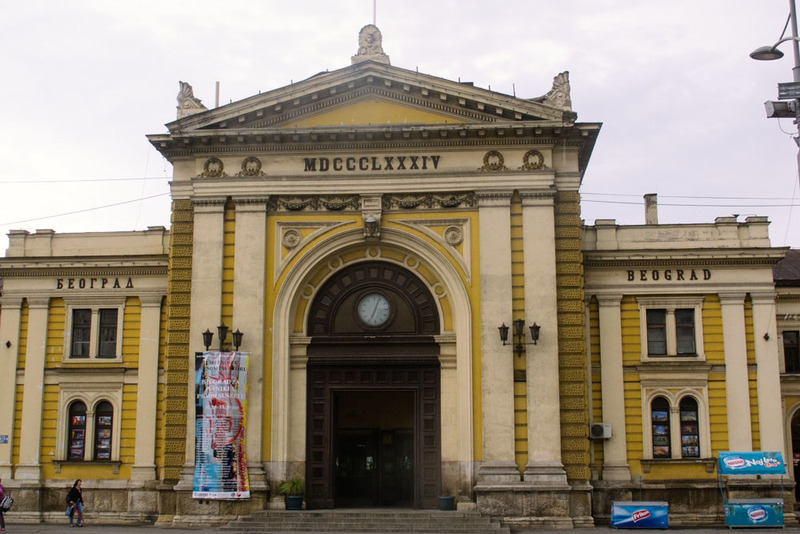 The train station had ATM machines, so we were able to withdraw Serbian dinars that we then used to purchase our train tickets for Skopje, Macedonia for the next evening. No problems with availability even though we were traveling in August, the peak tourist season in Europe. Central train station, Belgrade, Serbia. It was when we got back to the central station – ready for our overnight trip to Macedonia – that the fun really started. We arrived at the boarding platform about an hour early, to find our train already there but not quite ready for passengers. To pass the time, we walked around the station gawking at the graffiti-ed train cars lining the platforms. Faint smell of urine and cigarette smoke wafted through the air. About 40 minutes before departure, a middle aged, unshaven burly man in a tracksuit materialized and demanded to inspect our tickets. “Mh, yes, this car…wait here” and that was that; he was off with our boarding passes disappearing down the train station walkway. Oi? What happened? We weren’t quite sure if our train passes were just whisked away by a petty criminal, or if the guy actually worked for the Rail Road company. From the looks of him, he definitely had no official business at the station. But what to do? We couldn’t spot any other official looking stewards or anyone else at the platform who could help us. Should we go to the ticket window to explain in our non-existent Serbian that we gave away our tickets to someone without meaning to so? We resolved to wait and see, hoping to finagle our way onto the train one way or another. As it turned out, the guy was totally our steward for the trip, albeit he certainly did his best not to look the part. Welcome to the real Balkans! Ready to board, train at the Central rail station in Belgrade, Serbia. The train journey was fine — albeit the whole business of waking up 3 am to go through customs, and then again at 5:30 am when we arrived in Skopje wasn’t very restful. Mercifully, the customs officers came through the train quietly and were quite nice. Quite honestly I don’t remember if we had to do the Serbian and Macedonian customs check separately or if those were done together – too sleepy! Length of journey: overnight, though the actual travel would be much shorter if it weren’t for the border stop, which is what takes up the majority of the time. Delays: delay of about 1 hour arriving to Skopje, which actually worked quite well for us as we were able to nap a bit longer before a long day of exploring Macedonia’s capital. The good thing about Skopje train station is that it shares a terminal with the international bus station. The good thing about the bus station – it’s open 24 hours. So when we arrived at 5 something in the morning, we were able to take money out of the ATM and purchase our bus tickets to Tirana directly after we got off the train. 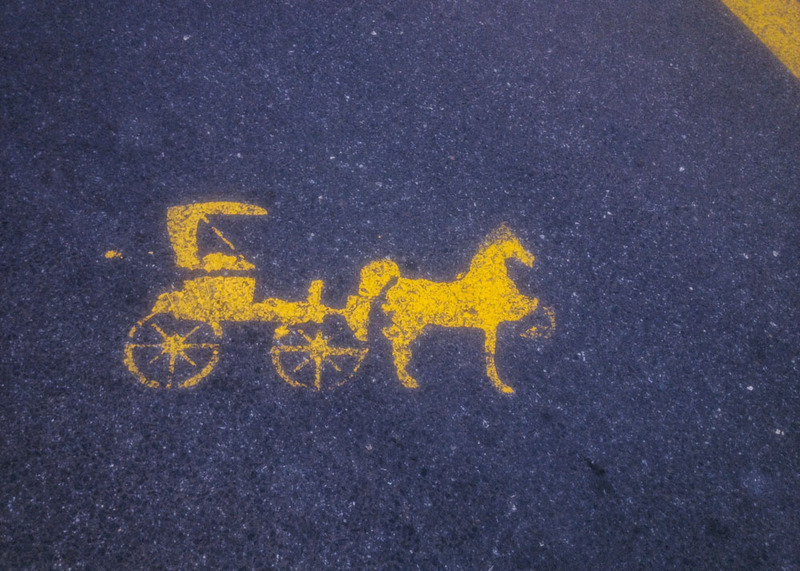 Macedonia’s bus station isn’t much too look at, but these pavement signs for horse drawn buggies are quite amusing. Skopje, Macedonia. I almost bought the tickets only to the border, thinking that we would switch to some sort of taxi or shuttle once we crossed over into Albania. I am glad I didn’t, because once we boarded the bus the next day and started driving that highway, the road looked awfully desolate. I am sure hitching a ride would have worked eventually, and I am sure we overpaid in comparison to what the journey could cost. But since we had somewhere to be in Tirana, international bus was the right decision for us. 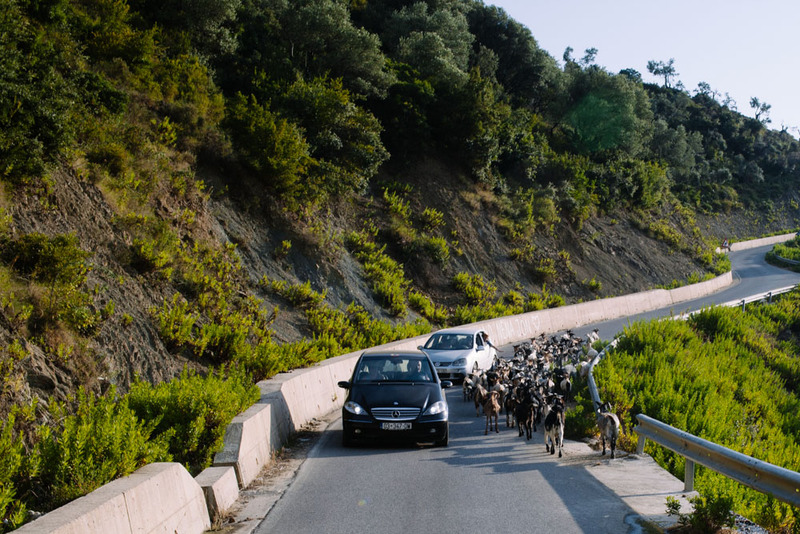 Goats on the road – a totally normal phenomenon in Albania. In terms of the bus journey – it was about average. 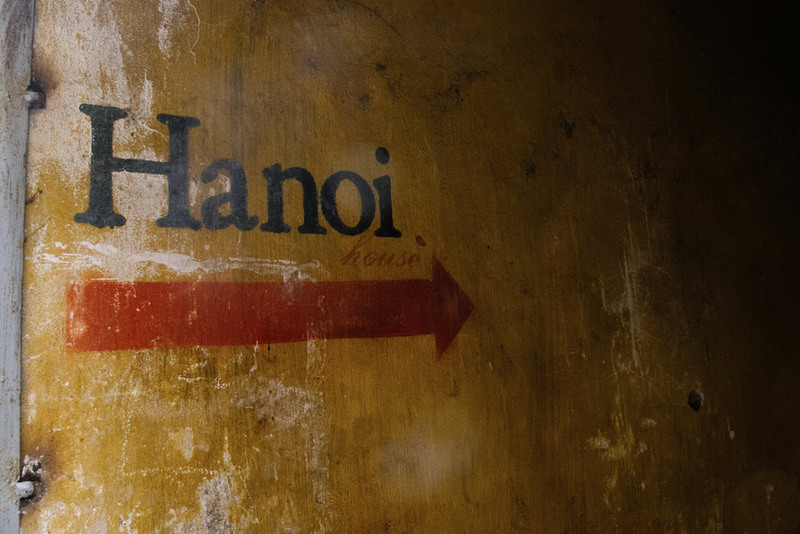 No luxury / VIP bus of Thailand for sure, but not the worst of Vietnamese mini-vans that ply the Mekong Delta region (never again if we can help it). The stops were a bit unpredictable, the road a bit rocky, but everything went just fine. The only complaint is that it was looooong.